While you are away from home, you can feel confident that your pets are in reliable, capable and loving, caring hands. Your pet's routine is kept as close to normal as possible. Cats and dogs hate unfamiliar surroundings and changes to their routine. Our goal is the comfort of your pet. 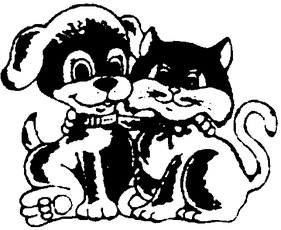 I have been providing dependable, affordable, honest pet house sitting services in Palm Harbor since 2001. I enjoy caring for animals and providing pet sitter services for your animals allows me to share that love with the 4-legged members of your family. I am a member of Pet Sitters International and Tampa Bay Professional Pet Sitters Network as well as Pet Sitters Associates, LLC. Comforts of Home Pet Care professional pet house sitting services are insured, bonded and certified by the American Red Cross in Pet CPR and First Aid. You can rest assured that your pets are in the most dependable hands while you are away. There are many benefits to using a Palm Harbor pet house sitting service. Read on to find out more.